Here we are with a recap of the most recent SCS On the Road trip plus an invitation to a new show happening in just a few days! 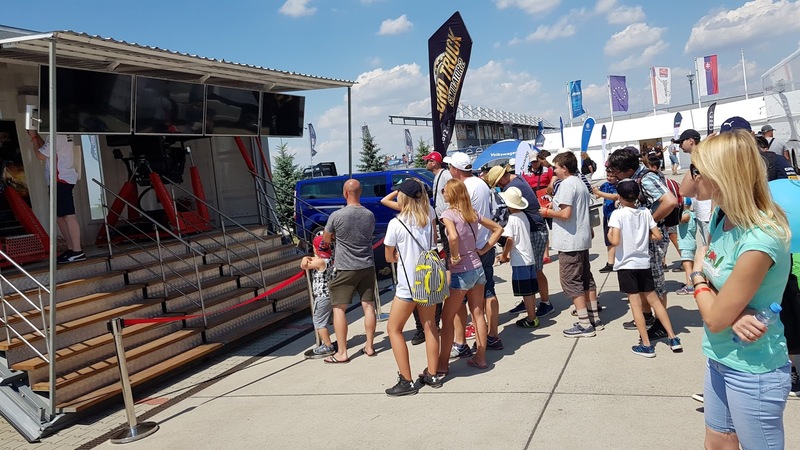 Our crew has just arrived from the 4th round of the FIA ETRC 2018 season held at Slovakia Ring. 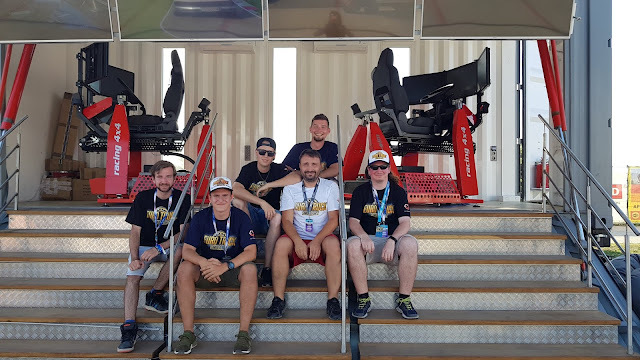 Even though it was a very hot weekend, the visitors there were really interested in our work and hundreds of people came to try our 4D Motions seats. We had a great time and we'd like to send a virtual high-five to all who came to spend some time with us. A big thank you goes also to our helping hands - Czech Youtube/Twitch streamer Synecek11 of Gamekeepers_cz channel, and Viliam and Alex who reached us via email ontheroad@scssoft.com. If you'd like to become a "roadie" for one of our upcoming future events (list at the image below) too, give it a try and send us an email. You may also want to check out our recent post here. 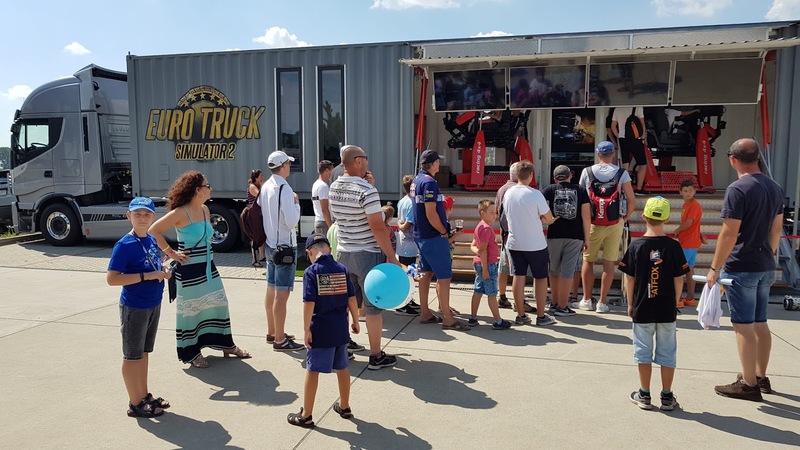 The 4th round at Slovakia Ring was the last race weekend before a 5-week summer break in the FIA ETRC season. But that doesn't mean that we'll not be meeting our fans for such a long time. 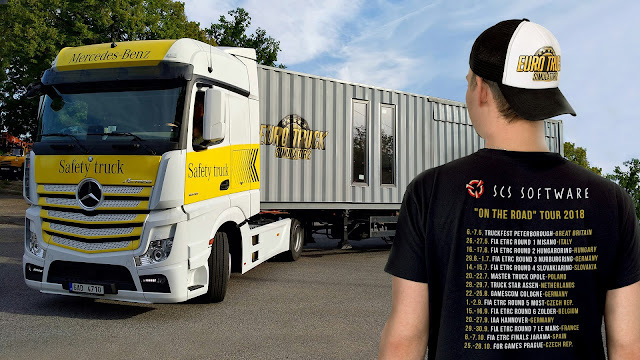 We're packing our things as we write this, loading our SCS Sim Trailer with some merch gifts for the most dedicated fans, and very soon we'll be leaving Prague again. The destination is set to Master Truck Opole 2018 in Poland. Kudos to the team of IMGN.PRO who helped us a lot with making our participation at this event easier. We know that our Polish fan community is huge. We hope that you'll be there with us too to witness all that this famous event has to offer. Come and visit the area of Lotnisko Opole-Polska Nowa Wieś from 20th to 22nd of July, 2018 and spend some time with us. We're looking forward to meeting you!